India is undoubtedly one of the most exotic places on the planet as they offer a diversity that could only be found in this country. As a result, tourism has become one of their most profitable industries as they usually post double digit earnings in billions of dollars annually. Because of outsourcing, the country has also considerably improved as it has attracted investors that influenced other business not only for business travel but for leisure as well. In 2007, the country experienced the full upswing of its tourism industry. 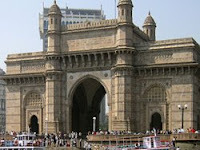 More than five million tourists arrived in India. This meant an increase of more than 12% has been experienced by the country compared to last year. However, the country is experiencing a lot of trouble in terms of tourism. Since the whole world is feeling the effects of the financial downturn, tourism did not improve in the country. The initial good news is that even though the number of tourists did not increase, but it didn’t go down significantly. In a way it ended up badly for India. The recent events in Mumbai that led to deaths of hundreds including tourists have practically scared everyone in travelling to India. Different travel warnings from different countries have been issued. More than 50% of confirmed reservations in India have been cancelled. The government is now aggressively pushing tourism again. Prices of hotel reservations are now up to 30% less which should really entice travellers locally and internationally. In terms of security, the government is also actively revamping and improving its security measures to ease the travellers’ tension.